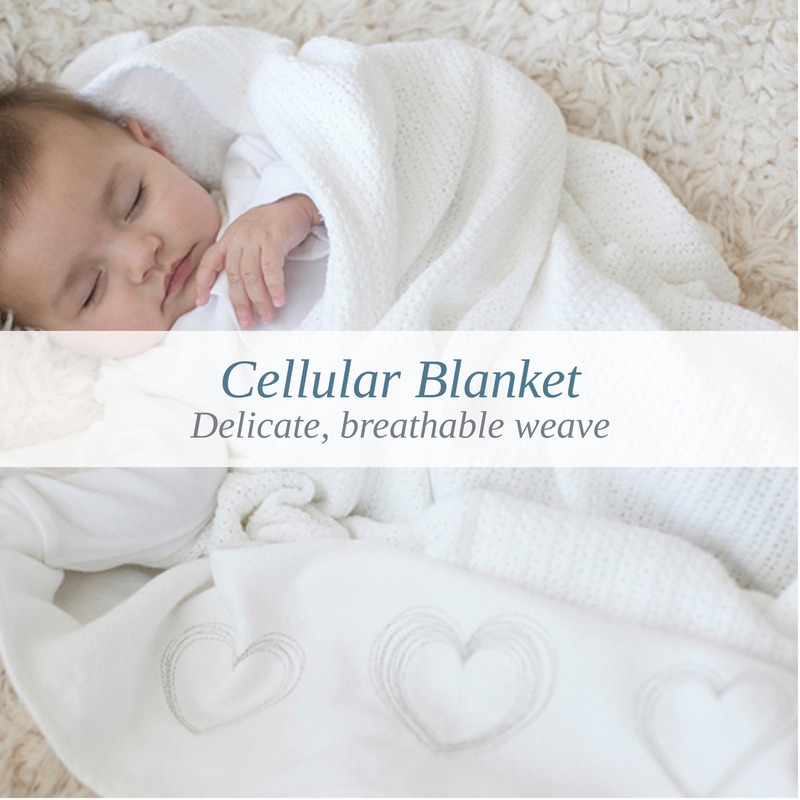 The unique cellular weave of this blanket ensures extra comfort and softness. 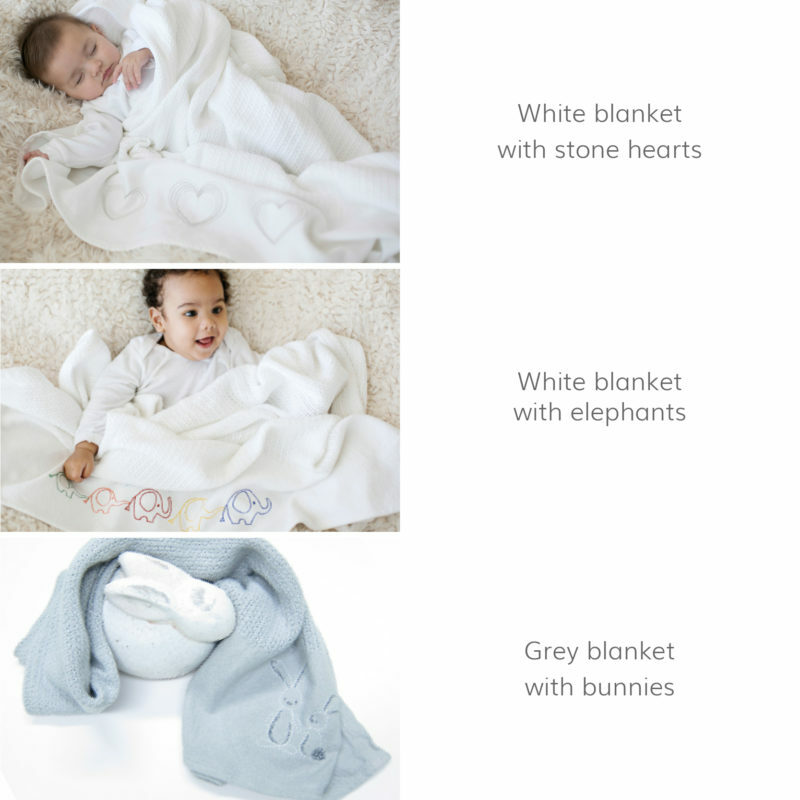 This larger sized blanket helps to keep your baby’s temperature regular, neither too hot nor too cold, which is perfect for keeping your little one cosy. The blanket measures 90 x 110cm / 35 x 43″. 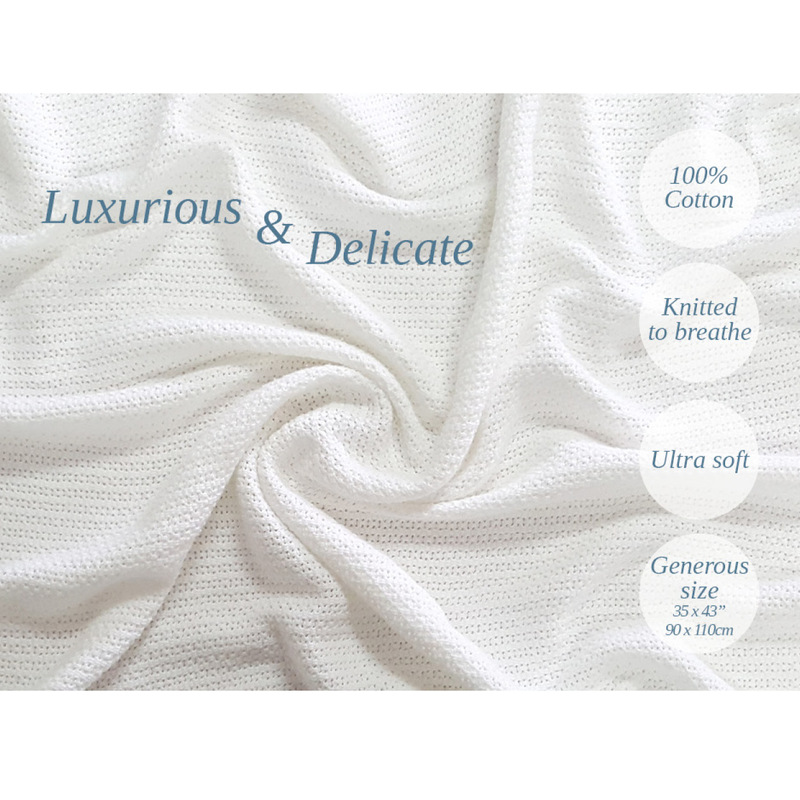 Breathable: The cellular construction of this blanket offers insulation and breathability. 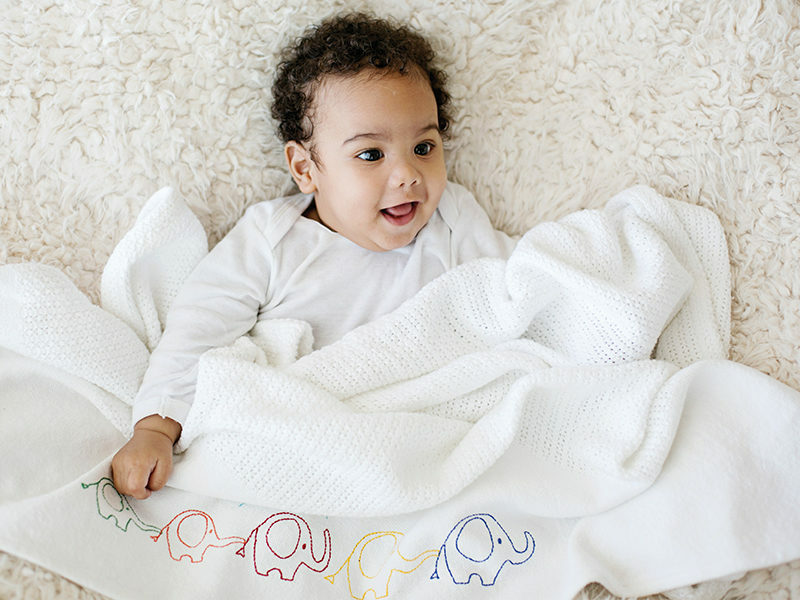 The blanket helps to keep your baby’s temperature regular, neither too hot nor too cold, which is perfect for keeping your little one cosy. Generous size: The blanket’s generous size means you can turn one into an impromptu stroller shade or soft place to lay your baby on. Comfy: Our luxurious cellular blankets are 100% cotton. Its delicate, yet durable weave is super soft. A cellular blanket is a basic necessity for the early days. 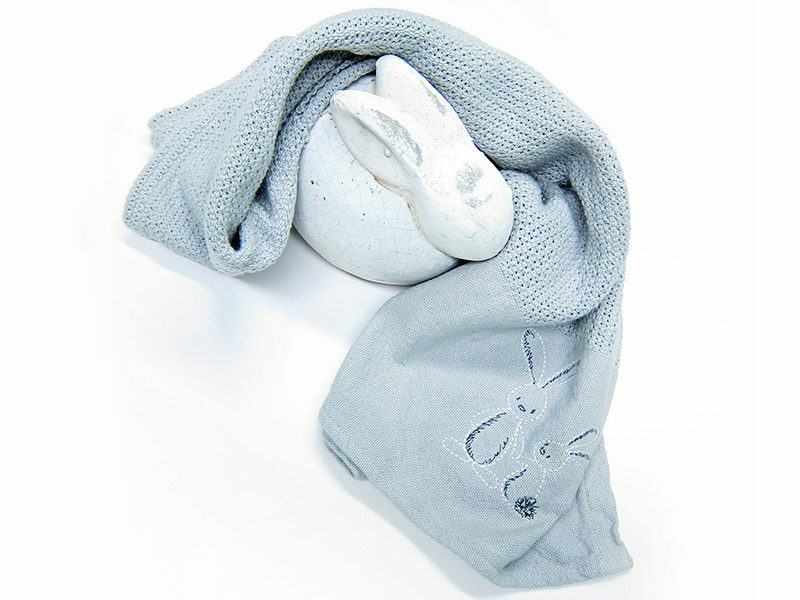 A beautiful blanket that adds that extra warmth your baby will need. Sleep: Your baby may need an extra layer over her blanket in cool weather. Cellular blankets are particularly convenient for extra warmth when out and about. Calm: Cover the pram or infant seat to block out the over stimulating world for your new baby. Do not allow blanket to cover infant’s face or restrict air flow. If blanket is used to swaddle, ensure swaddle is not too tight by slipping your hand between infant and swaddle; it should feel snug but not uncomfortable. Do not use blanket to swaddle when using products with restraints such as car seats, strollers, swings, etc. Discontinue using for swaddling when infant shows signs of rolling over or easily breaks out of swaddle, as this forms loose fabric in sleeping environment which may obstruct breathing of infant. Blanket provides no UV protection. Let blanket cool after leaving in sun, hot car or hot room.